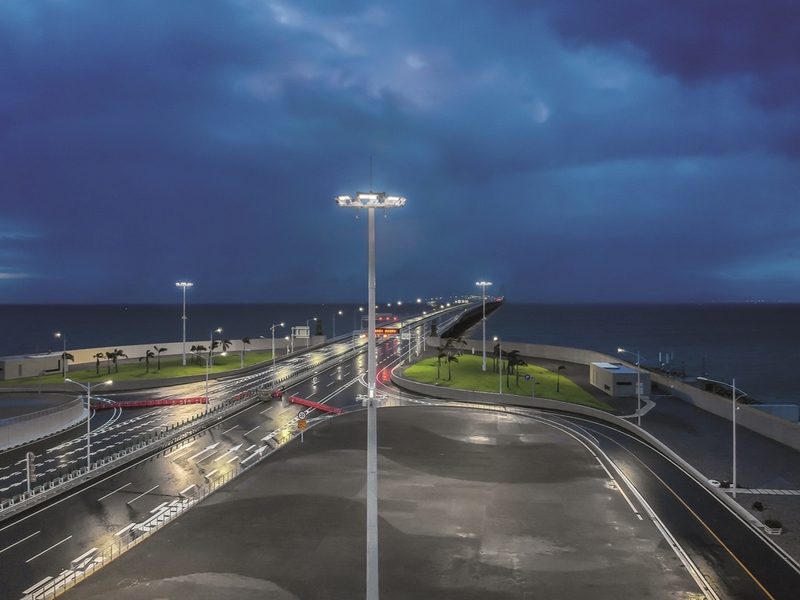 Thorn is proud to announce that it has provided much of the lighting for the brand-new Hong Kong-Zhuhai-Macao Bridge – the world’s longest sea bridge – which is due to open soon. Thorn secured two of the three lighting contracts associated with the 115.9 billion yuan (€14.7 billion) project. Thorn’s products illuminate the two artificial islands at the east and west of the crossing, and the tunnel that leads to the bridge from Hong Kong.